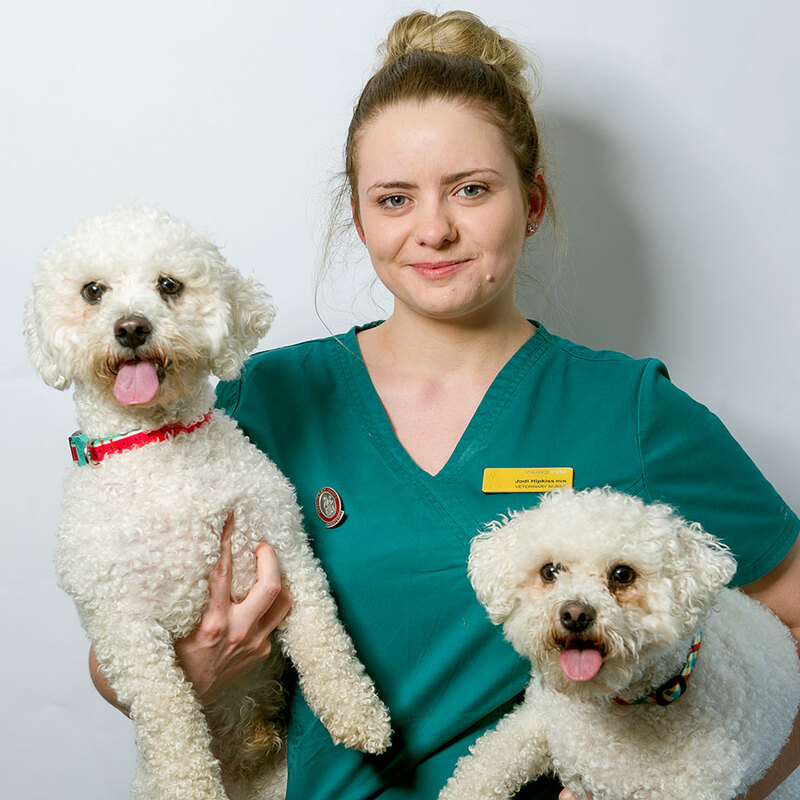 Jodi joined Valley Vets in 2015 and qualified in 2017 after studying for her honours degree in Veterinary Nursing science at Hartpury College in Gloucester. She has two Bichon Frise dogs named Joey and Toby and two guinea pigs named Eric and Walter. Jodi's favourite part of being a nurse is caring for all the hospitalised patients and seeing them progress and return to their usual happy selves! In her spare time she enjoys spending time with friends and family as well as taking Joey and Toby on new adventures. I love all animals but will not refuse a cuddle from any small fury, particularly a guinea pig.